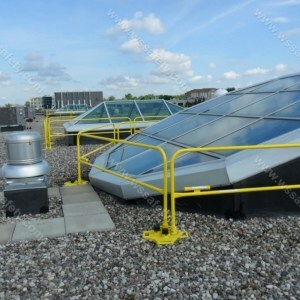 Counterweighted, or 'non-penetrating', guardrail systems are a great solution for passive fall protection systems on rooftops. 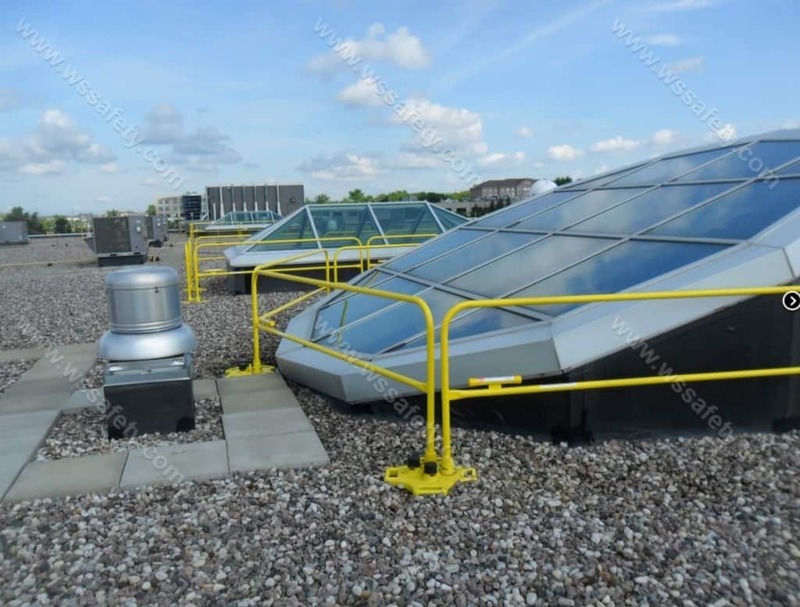 As customers upgrade buildings, install new high-performance roofing membranes and products, there often isn't a built-in roof edge rail system installed on the parapet for the customer to safely use after the new membrane is installed. 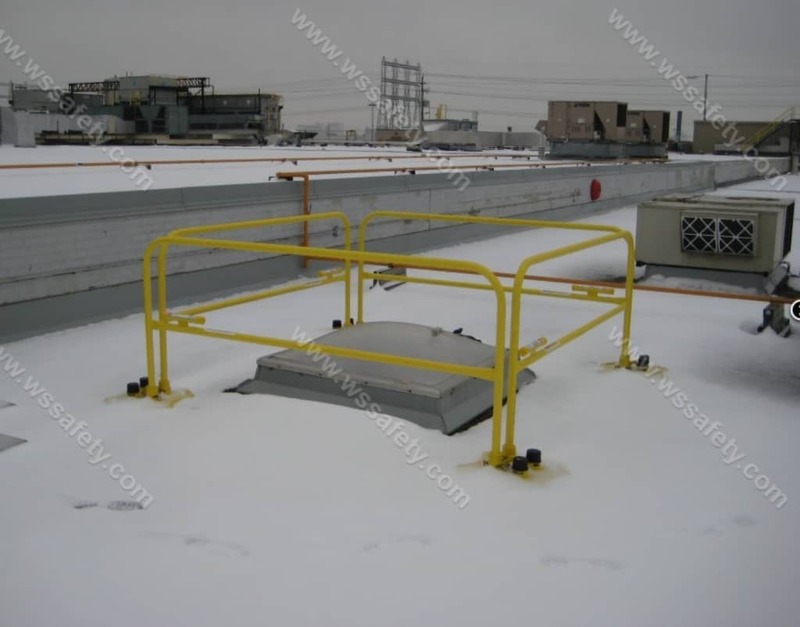 Our non-penetrating guardrails and warning flag systems can be installed by simply being set on top of the roof membrane, often with a protective rubber or specific material to offer protection to the roof membrane and not affect any warranties. 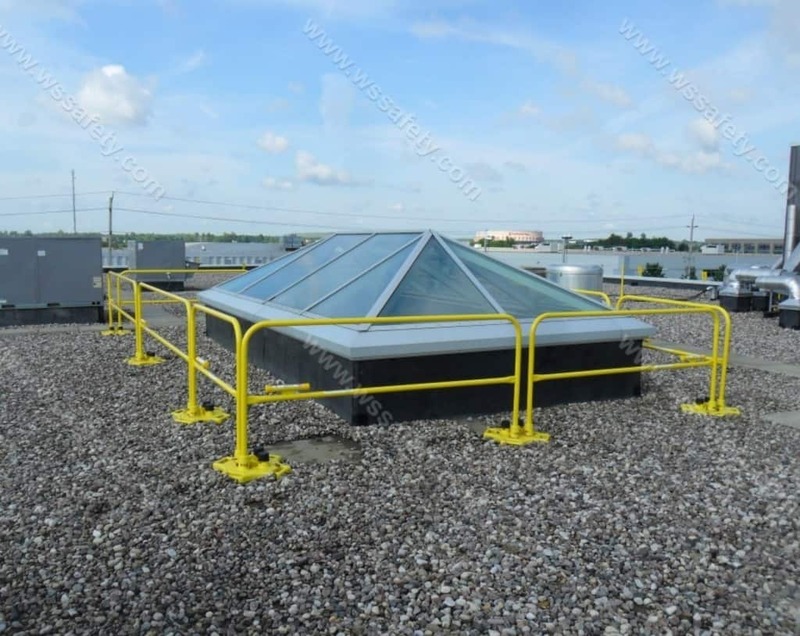 Compared to systems anchored into parapets, these offer numerous advantages including lower cost, no roof penetration (no leaks), and quick and easy installation. 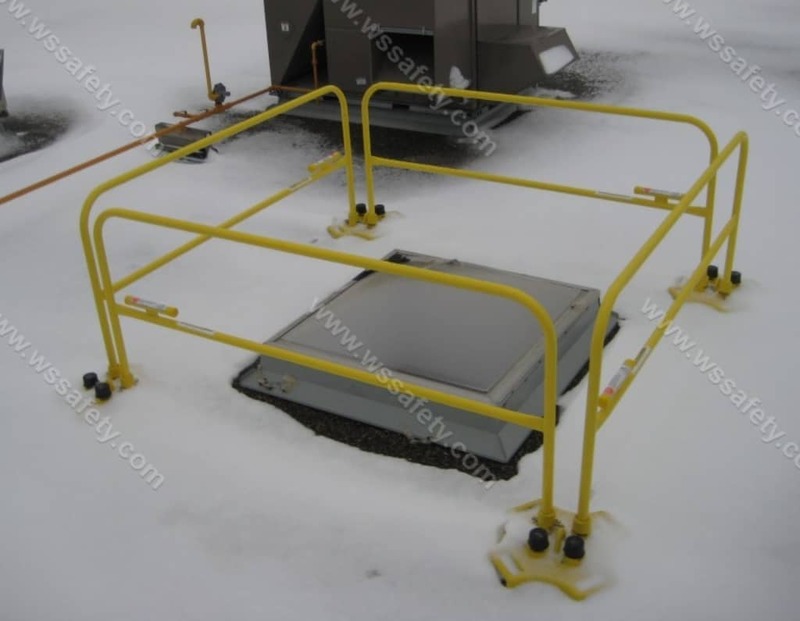 The counterweight guardrail can also be removed or moved if any RTU or HVAC work is done on the rooftop. We like to offer our customers different options so we try and recommend the optimum product for their application and typically include conceptual layout drawings with our proposals so the customer understands the exact layout and scope of work. We offer anything from a simple sale of materials, to engineered layout drawings, to complete turn-key project installations, including co-ordinating scheduled delivery, boom truck or crane, and installation, by our highly trained installation crew, all trained to the latest health and safety and fall arrest standards and requirements. 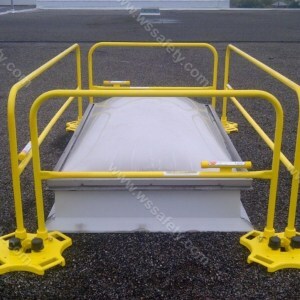 SafetyRail 2000 safety roof guardrail is a great way to give passive fall protection for hazardous skylights. 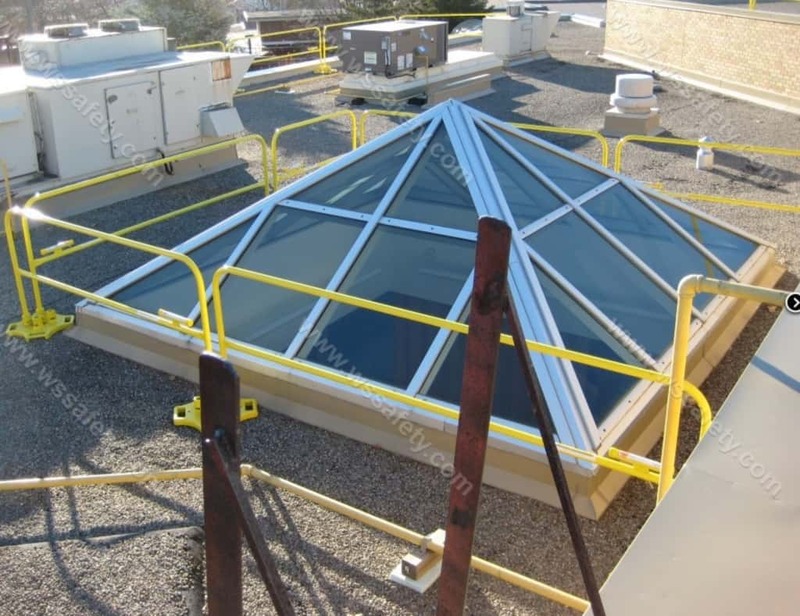 There are numerous advantages over similar skylight protection guards. 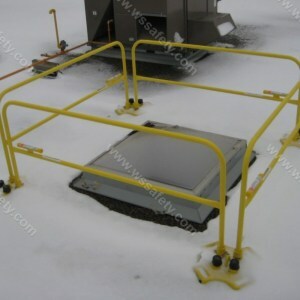 OSHA compliant skylight guardrail. Complies with numerous other USA and Canadian codes. 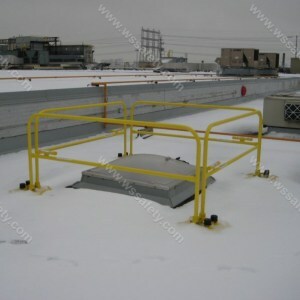 Quick and easy installation with Safety Rail 2000 guardrail sections and non-penetrating bases. Does not interfere with light coming through skylight. 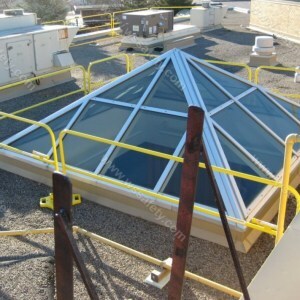 A great alternative to skylight fall protection screens. 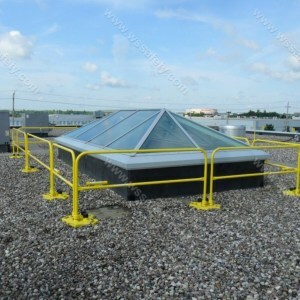 Install on entire roof for complete roof top guardrail. 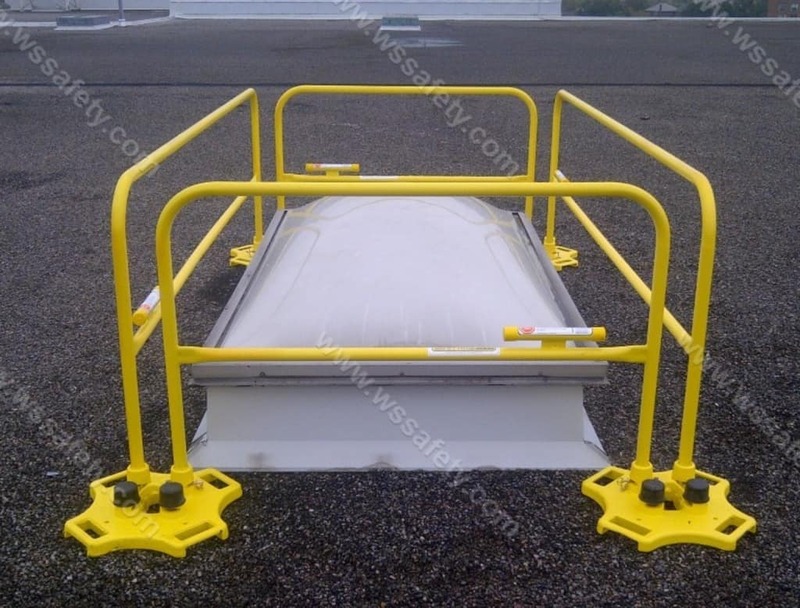 Learn more on our SafetyRail 2000 Product page.